Newspapers are able to influence public opinion through specific portrayals of teachers that in turn work to construct particular knowledge and perceptions about teachers and their work. So what are newspapers saying about teachers and who is saying it in the Australian press? teachers reap many benefits and privileges throughout their teaching careers . These media discourses were often critical, negative, oppressive and reductionist regarding teachers and their work, with very few ‘good’ news stories being published during the timeframe of this study. Texts that are available in the public domain can work toward influencing public opinion and political agendas. For example, campaigning newspapers consciously and systematically promote particular issues, often setting these agendas. As such, an accumulation of negative and critical media reportage about teachers is likely to erode public trust for teachers and the teaching profession. This is an unacceptable situation where a teacher’s role is made more difficult with the gaze of non-educationist onlookers ‘second-guessing’ teachers’ every move; and the status of teaching become less attractive for those contemplating their career opportunities. The teachers I interviewed were critical of the editorials, opinion writers and commentators, rather than investigative journalists, with the teachers labelling these writings as ‘offensive and appalling in their anti-teacher messages’. It was suggested by the teachers that such news texts focused on the author’s opinions rather than ‘facts’, and that those authors who were hired by newspapers to provide the commentary aligned with the newspaper’s socio-political points of view. Below is a brief outline of what the newspaper editorials, opinion writers and commentators had to say about each of the constructs. The regulated accountable teacher is positioned within discourses of accountability and control, with an editorial text stating that Accountability is essential (headline) and another calling for ‘public review’ of teachers and schools (opinion writer), citing the outcomes as ‘the public’s right to know’ (editorial). An opinion writer heralded that teacher accountability ‘will root out incompetence’ in the teacher population. According to another opinion writer, achieving this requires ‘real accountability [that] depends on real consequences. Real change requires incentives and penalties’. Consequently, the notion of teacher professional accountability was often rejected in these news texts, instead, focusing on the external and regulatory elements of market, public and performative accountabilities. Often, non-investigative media reportage focused on business-derived mechanisms such as improved ‘productivity’, educational ‘outputs’ and teacher ‘bonuses’, suggesting, as do the various levels of government, that such rigid and regulatory performative controls are more likely to produce compliant teachers, improve student learning outcomes, and consequently gauge the ‘effectiveness’ of education systems. The media construct of the transparent audited teacher, closely linked to the regulated accountable teacher, focuses on teacher performativity and accountability. These media discourses encouraged the use of audit and measurement data to monitor and control teacher performativity. Reportage in this area emphasised school and government practices, for example, standardised national tests, that draw on student data but are extended to critique teacher practices and performance. A number of editorials and opinion pieces suggested national testing was ‘transparent reporting’ that provided extra ‘scrutiny’ for schools and teachers and was identified as ‘revealing and useful’ for parents in the community and a ‘long-overdue mechanism of transparency’. This construct is situated within the discourses of improved transparency and teacher quality, supporting the use of ‘evidence-based’ measurement data such as NAPLAN tests, MySchool, and league tables, to attain this ‘improved’ transparency and teacher quality. Any alternative points of view regarding the above practices were often derided or discredited with the suggestions that they were ‘irrational fears’ and ‘arrant nonsense’ (opinion writer). Opinion-style reportage focusing on the failing incompetent teacher positioned teachers within discourses that suggested a lack of teacher professionalism and teaching failure. Often, these media texts positioned teacher quality as the main cause for poor student learning outcomes, suggesting there is ‘chronic incompetency’ and ‘poor quality teaching’ in schools (opinion writers), with teachers lacking ‘commitment and talent’ (editorial) to effectively teach their students. Consequently, reportage focused on policies and practices that were perceived to improve teacher quality, for example, raising university entry standards. Often, however, this media reportage tended towards simplistic understandings of teachers and teaching, reducing educational practices to somewhat uncritical and unsophisticated representations of teachers. The final media construct is that of the privileged reckless teacher which also positioned teachers within discourses that questioned teacher professionalism, in particular notions of ‘benefit’ and ‘misconduct’. News texts constructed teachers as privileged in relation to their short working hours, many holidays, and good pay while teachers associated the benefits of their career as relating to working with children. An opinion writer suggested, ‘Teachers, as much as they moan, are on a nice litter earner … they do have a cushy job. Teachers are already well paid.’ Consequently, such media understandings of the benefits of teaching, work towards perceptions of teacher recklessness in relation to teacher unionism and industrial action, with it often being suggested that unions ‘protect poor performers’ (editorial) and ‘mask tenured incompetence’ (opinion writer) within their membership. One opinion writer suggested, ‘Cynical, lazy, incompetent teachers [are] keeping chairs warm in common rooms, who are effectively unsackable because of the union membership’. The other element of teacher ‘recklessness’ related to stories of teacher misconduct. These stories explored media reportage involving parental opinions about teachers’ practices and school systems, teachers and physical contact with children and young people, and teachers engaging in sexual contact with children and young people. While newspapers hold an important role in our society, there is also an obligation on their part to present balanced and equitable reportage of the issues and events surrounding teachers and their work. Consequently, newspaper practices that ignore the complexities of the teaching profession are potentially harmful to teachers, young people, schools and their communities. 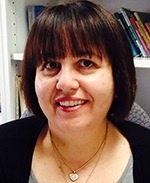 Aspa Baroutsis is a Postdoctoral Research Fellow at The University of Queensland.